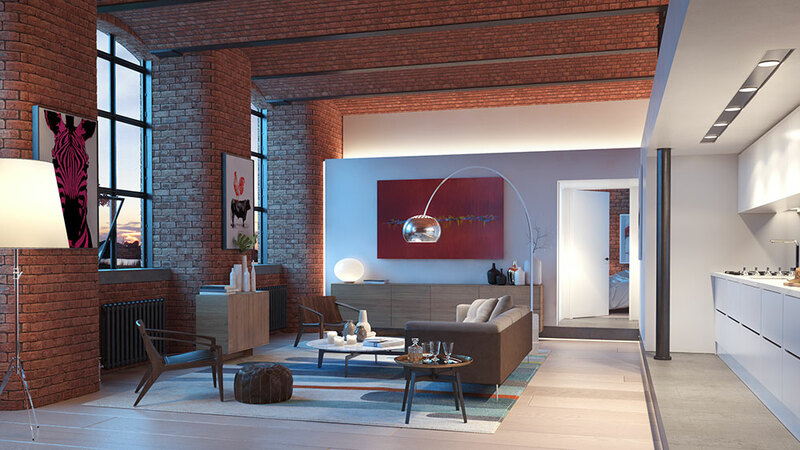 The project is for a new residential development to convert an existing mill building into 152no. apartments and construct 49no. new houses on the remainder of the site. 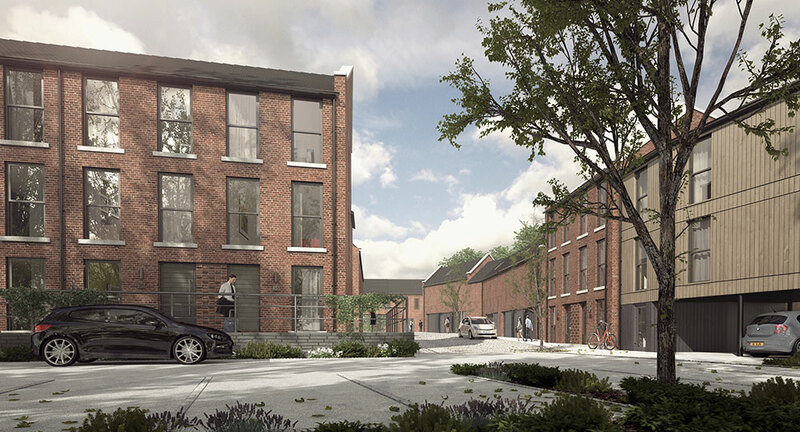 The site lies within the Houldsworth Conservation Area of Reddish, two miles North of Stockport in South Manchester. In its past the site was formerly occupied by the Reddish Spinning Company, which was owned by the locally prominent mill owner Sir William Henry Houldsworth. The mill forms part of a pair of mills, being connected to the adjacent Victoria Mill, which has previously been developed into apartments. While not listed, the mills form an important part of the conservation area, their monolithic scale and design containing reference to the area’s industrial past. 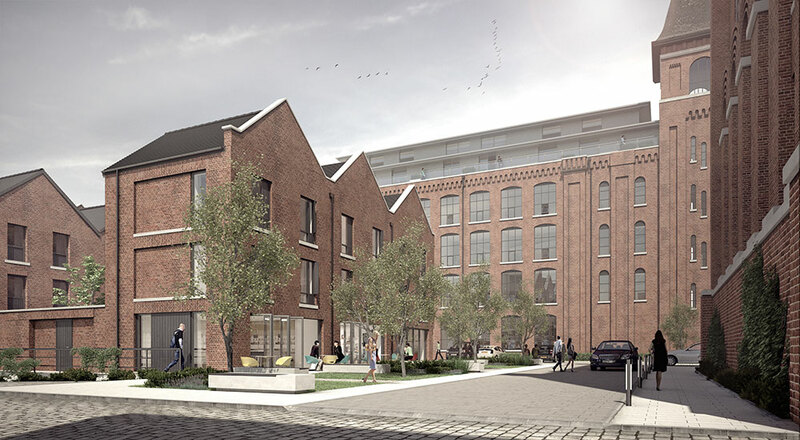 In addition to restoring and converting the existing historic mill building, the project will enhance the character of the conservation area by creating a new “urban village” modelled on the elements found in old mill complexes. 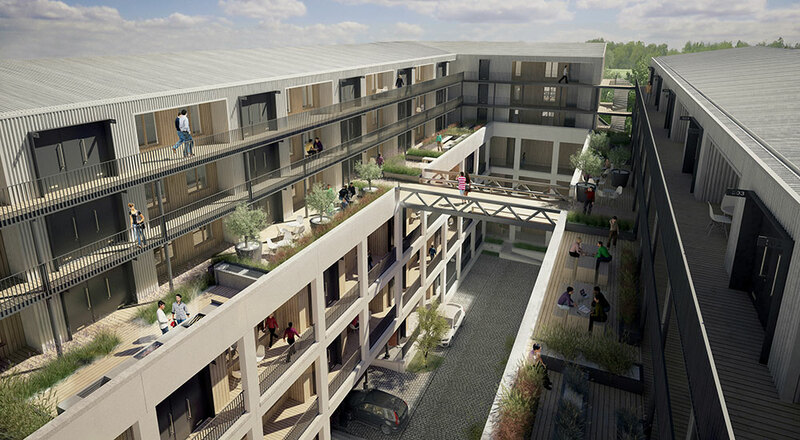 The result is a formation of a number of distinct and innovative house types that are arranged in blocks to both line new streets with active frontages and create semi-public courtyards, providing parking spaces and communal shared gardens for residents. Elsewhere the public areas are conceived around a range and hierarchy of streets and squares to provide a characterful journey and sequence when moving through the site. 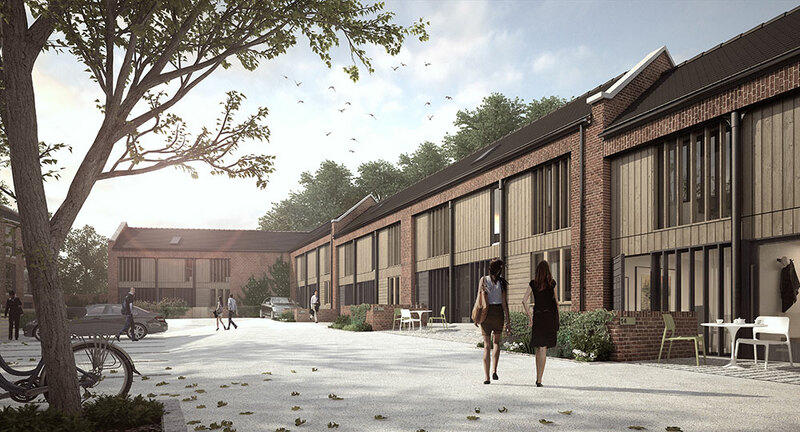 The internal layout of the retained mill is altered to cut a new external courtyard though the middle of the building, providing a dual aspect to all apartments and a communal deck access walkway encouraging social interaction and a sense of community. 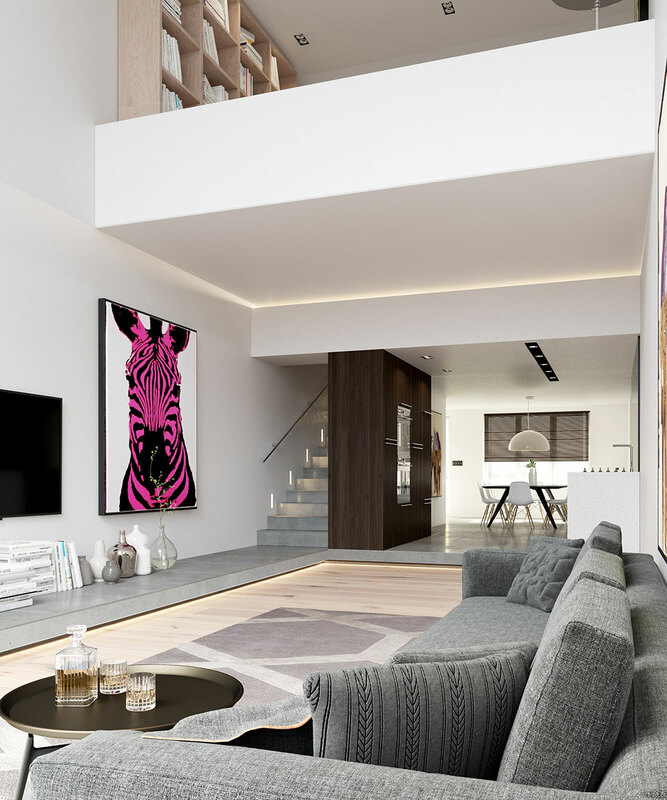 A new rooftop extension provides further accommodation and in a contemporary style compliments and contrasts with the existing retained structure. The new access includes a high level communal garden terrace with planting, seating and barbecues. 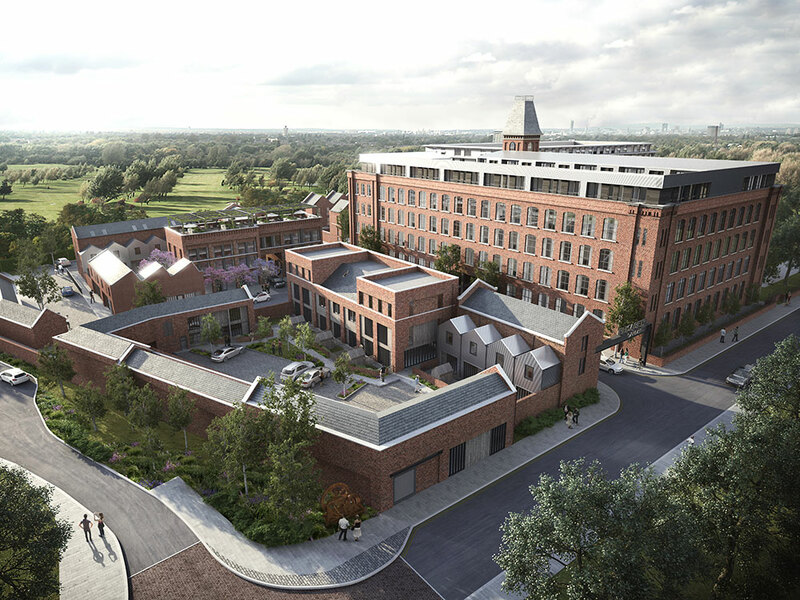 The new buildings on the site are to be built from a restrained pallet of robust materials reminiscent of the character of historic mill complexes. 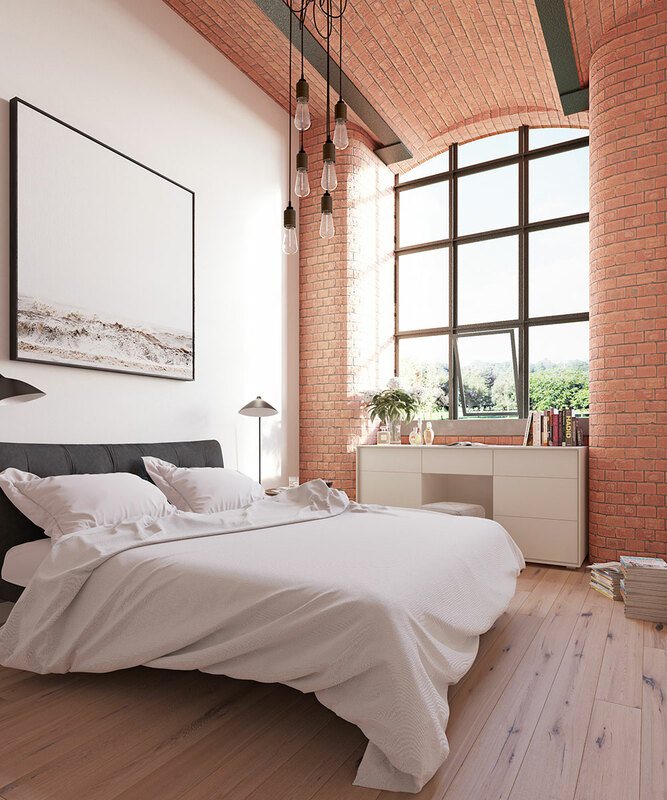 Red brick walls and grey roof slates are predominantly used with proportions, scale and elevational treatments that have particular reference to the industrial style of the historic setting.